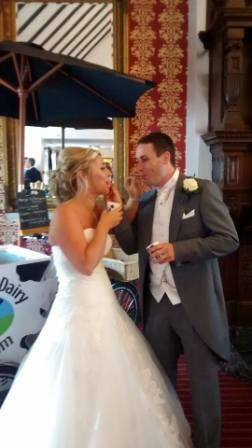 Award Winning Daresbury Dairy Ice Cream can help make your day even more special with our stunning 1940’s style Traditional Ice Cream Bicycle or cart. 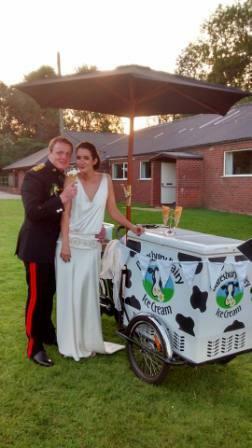 The perfect Ice Cream Experience for Weddings, Christenings, Birthdays, Anniversaries or Corporate Events. 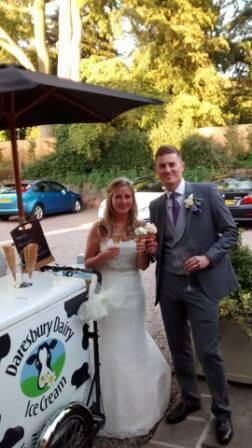 We will come to your Special Event and serve our Delicious Daresbury Dairy Ice Cream, which is made fresh on the Farm with milk from our cows. There is an extensive range of flavours of luscious Ice Cream and mouth-watering Sorbets to choose from. 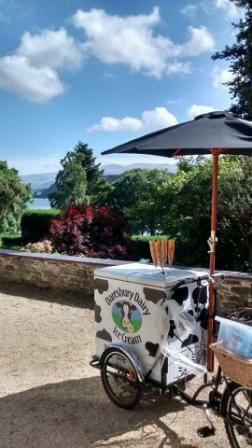 If we don’t already produce your dream flavour, we can work with you to create something especially for you. Get In Touch To Learn More, Request a Private Tasting or Book Your Event! CALL ME ABOUT ICE CREAM! Choose up to 4 different flavours from our extensive choice of delicious Ice Cream and Sorbet Flavours- including Cherry Ripple, Lemon Meringue and Strawberry & Champagne. All our current flavours are included in the price. 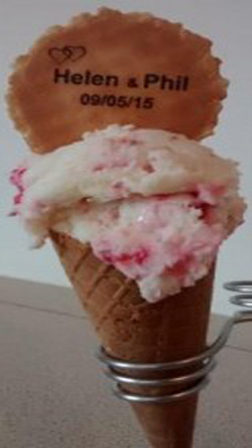 If we don’t currently make your dream flavour we will even make one especially for you! All the basics are taken care of (Fully insured, health & Hygiene trained etc.) so you can relax and enjoy your day! 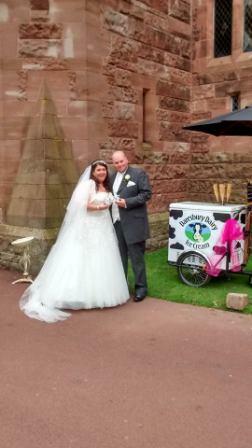 Available to hire throughout Cheshire, Merseyside, Halton, The Wirral, Manchester, Lancashire and parts of North Wales. 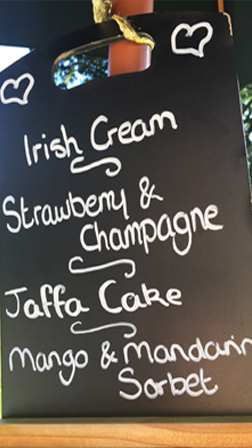 We can make special flavours just for you! Please contact us with your number of guests & location of the event for a quote.